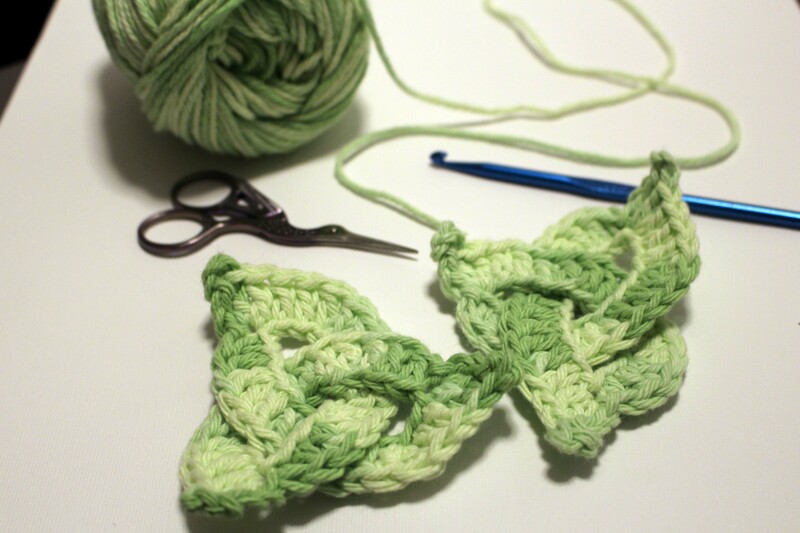 I saw this AMAZINGLY CUTE and super easy free pattern for a celtic knot triangle at the blog Happy Berry Crochet, and knew I had to make one! And I knew just what to use it for! My daughters have my tiny hands, and they do a lot of the kitchen cleaning as part of their chores, I thought these would be perfect as little scrubbing pads for the counters, the table, the oven, you name it! I ran out and bought some Sugar and Cream dish cloth yarn (with a coupon, of course), and proceeded to make a small army of these little celtic knots. They are way cuter than the square wash clothes I was making, and don’t take any extra amount of effort! YAY!